David Stern spent most of his adult professional life working for the National Basketball Association starting as a league lawyer and then spending three decades as the commissioner. Even though he has been away for four years, David Stern remains in the league’s loop. Recently Stern was asked about Seattle’s chances of getting an NBA franchise. Stern was irate when Seattle would not build a new arena for SuperSonics owners Howard Schultz and Clayton Bennett. Stern failed as a lobbyist and in 2008 watched as Bennett moved the business to Oklahoma City. 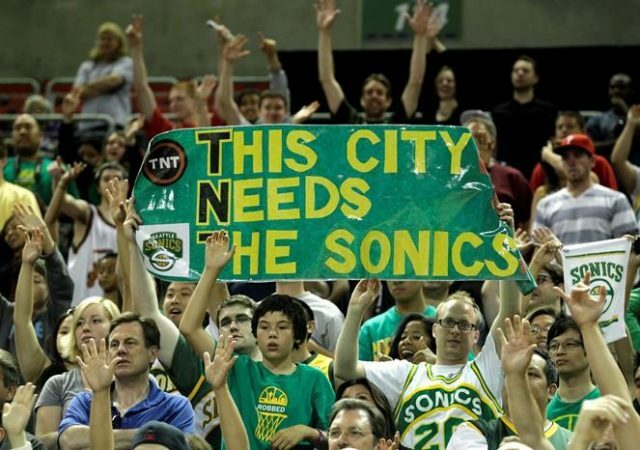 Stern now thinks Seattle can be a good NBA market. Seattle is the most affluent United States market without a National Hockey League or NBA franchise. The city has corporate money and has a good sized TV market. It lacked an arena complete with all the 21st century revenue generating gadgets. The Seattle building had been renovated in 1995 and within 13 years was obsolete by NBA standards. Stern doesn’t believe Las Vegas can support an NHL, NFL and NBA team so that market may be out of play for an expansion or relocation team. Stern mentioned nothing about Mexico City as an NBA expansion city nor did he bring up Louisville, Kentucky. Louisville has been pursuing an NBA team in the early 2000s. Seattle has a Stern endorsement.